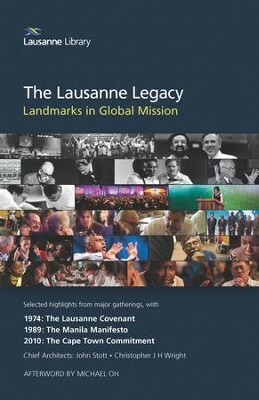 A keynote book for the Lausanne Movement, The Lausanne Legacy: Landmarks in Global Mission collects the three major documents of the movement into one volume. 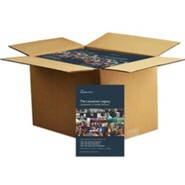 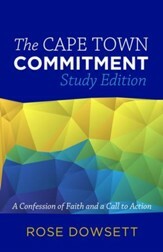 This collection includes The Lausanne Covenant, The Manila Manifesto, and The Cape Town Commitment. 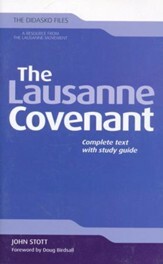 The Lausanne Covenant from the movement's first meeting in Lausanne, Switzerland, in 1974, the Manila Manifesto, from Manila, Philippines, 1989, and the Cape Town Commitment, from Lausanne's 2010 meeting in Cape Town, South Africa, demonstrate the firm foundation and the growing vision of the movement. 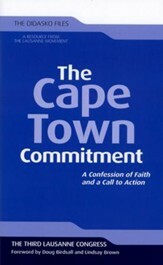 Two significant addresses from each meeting, from speakers including Billy Graham, John Stott, Lindsay Brown, and Chris Wright join these powerful statements of vision and belief that established and sustain the spirit of a global movement, a spirit of humility, friendship, prayer, study, partnership, and hope. 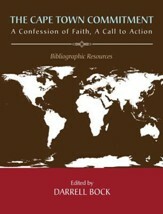 With a foreword by Leighton Ford, Honorary Life Chairman of the Lausanne Committee for World Evangelization, and an afterword by Michael Oh, Executive Director/CEO of the Lausanne Movement, this collection stands as the definitive testament to the work that God has done through the Lausanne Movement in connecting ideas and influencers for world mission. 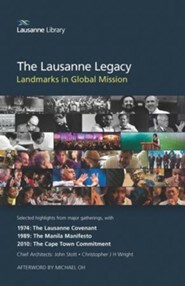 I'm the author/artist and I want to review The Lausanne Legacy: Landmarks in Global Mission.